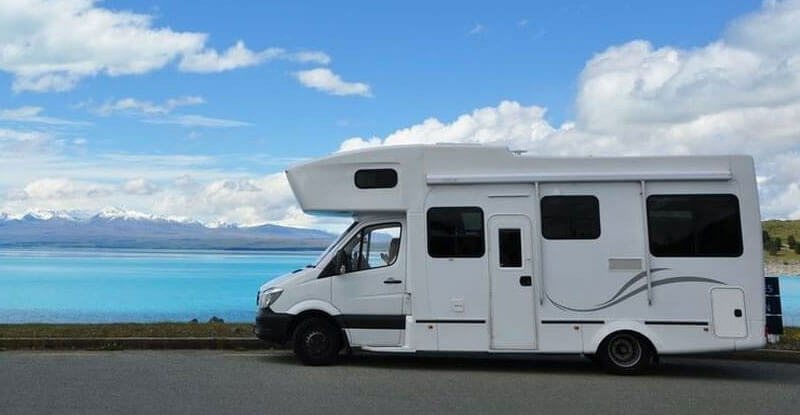 Motorhomes are made to provide a comfortable to escape from the hustle, bustle, and pollution of the city. This is why a lot of people take out their campers to get some fresh air. Sometimes, though, you’ll find it hard to achieve that because there can be a need to improve your RV’s air quality. Poor air quality can pose a few health risks. These often come with the exposure to mold, mildew, formaldehyde, and other noxious chemical fumes. This is why it’s crucial to learn how you can boost the indoor air quality in your mobile home. You can expect the air inside your camper to become stale and unpleasant after leaving them closed all the time. Opening the windows from time to time can help push out the stale air. This can help get rid of the stuffiness it comes with. Doing this can also help air circulate inside your mobile home to keep it fresh. Moisture can make any spot the hottest real estate for mold, mildew, and other bacteria. As a result, the exotoxins they emit make the stale air stink and bad for your health. By eliminating the moisture, you’ll also get rid of the microorganisms that are thriving from it. There are a few easy ways how you can remove moisture inside your RV. You can get dehumidifiers to absorb the moisture in the air. Sprinkling baking soda on the affected surfaces can also help. Just remember to clean them up afterward, though, so your camper won’t get messy. Cleaning your vehicle regularly is necessary if you want to improve RV air quality. Invest in good cleaning tools like a vacuum to get the job done efficiently. Cigarette smells tend to linger in the air, especially in enclosed spaces. So if you smoke inside your RV, there’s a good chance that it will smell afterward. It doesn’t matter if you open the window because the toxins and chemicals in them can stick to anything. This is why it’s best to only smoke only during pit stops and outside your camper. Because air tends to get trapped inside RVs, it’s important to be wise in choosing the right cleaning agents for it. Avoid the ones with strong chemical components as their fumes can linger inside your enclosed space. This can then affect the quality of the indoor air and even harm you. Since plants need carbon dioxide to live, they’re the best additions to your RV if you want to improve your RV’s air quality. They can sop up the stale air in your camper and then emit fresh oxygen in return. Indoor plants like the Areca Palm, Mother-in-law’s Tongue, and the Money Plant are the best picks for the job as they don’t require much maintenance and sunlight. Spoiled food is pretty common in RVs because they don’t cool down fast enough when stored. With a good refrigerator fan, the air inside the appliance will get to circulate which helps in keeping the food fresh. This reduces the instances of food spoilage and your RV’s exposure to foul smells. 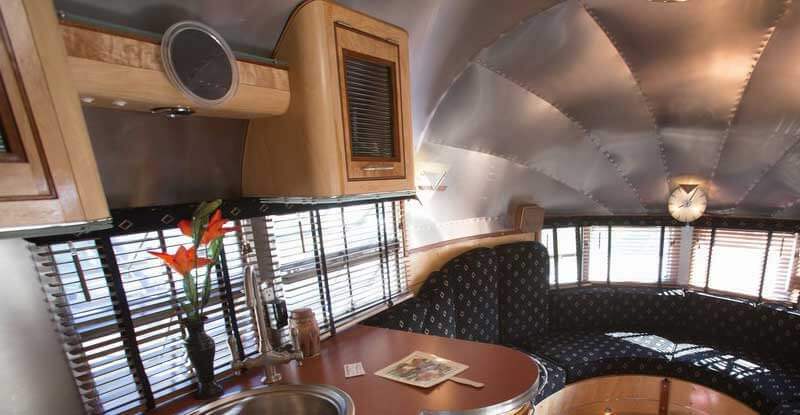 An exhaust fan also comes in handy in improving RV air quality because it helps circulate the air inside your camper. It will pull the stale air out of your vehicle, promising the continuous flow of fresh air. Even if you regularly vacuum the upholstery of your camper, dirt, soot, and dust will still get stuck on it. This is why you should also consider reupholstering your interiors after a couple of years of using your vehicle. This will completely eliminate the debris and microorganisms that can be found on your furniture which can then help improve its indoor air quality. Sweaty garments and smelly pets can quickly reduce the air quality inside an RV, so it’s very important to ensure cleanliness all the time. Wash your clothes often or find a way to store used garments effectively. Condensation is another important concern if you want to keep the interiors of your RV dry. To avoid condensation from bringing in moisture, use an anti-moisture layer under the mattress. This will improve the air circulation in the area which will keep the moisture build-up under control. Air purifiers are specifically designed to clean the air around it. It can filter debris on the air like dust, pollen, dirt, and other possible allergens. This makes it a very handy addition to any motorhome since they often struggle with poor air quality. You should also bathe and groom pets regularly. This can keep them from stinking which can significantly affect the indoor air quality of your motorhome. Regular grooming can also reduce shedding. This can result in lower chances of them shedding fur and dander that can also affect the quality of the air inside your RV. Air ionizers are some of the handiest air filters on the market today. They work by producing negatively charged ions that help weigh down impurities so they won’t stay airborne. This makes them easier to get rid of, letting you enjoy better indoor air quality. The best part? You don’t have to go through a complicated installment process to make them work so they’re even more compelling to use. Carpets may feel luxurious to have in a motorhome but because they’re not easy to maintain, they can be the very cause of the poor air quality in your RV. They can trap dust, dirt, moisture, mold, and all sorts of debris that can stink and trigger allergies. This is why you might be better off with a different flooring material than this classic choice. Air filters need regular replacing because the amount of dirt they keep out can wear them down. This leads to poor performance which will affect your indoor air quality. Make sure to remember to clean and replace them quite often. This will guarantee better performance and improve your RV’s air quality significantly. Air fresheners only mask the smells that are the very signs of the poor air quality in your motorhome. They do nothing to improve it and may even contribute to the problem as they use chemicals to produce their scent. Swapping them out for natural air fresheners is better recommended, however. To further cut down tracking dirt and other gross stuff from outside that can stink up your camper, take off your shoes before entering your motorhome. This won’t just help improve your RV air quality but can also help keep it clean. In general, keeping your RV clean and dry can do wonders for its air quality. It might require a bit of effort, but with the right tools and techniques, getting your desired results is not hard to do. These tips are some of the most popular and effective ones so make sure to give them a try.